Qui-Gon Jinn and Darth Maul are two characters who were introduced in The Phantom Menace, wherein they both were killed in an epic duel. Supposedly killed, that is, as both lived on all the way up to the doorstep of A New Hope, each of them drastically affecting the growth of Obi-Wan Kenobi. Therefore, it makes sense on a surface level for Qui-Gon and Maul to having dueling comic releases. But this isn’t just a nice nod and a wink to their shared screentime. There’s much more to be found in their texts’ comparison. Age of Republic is a limited comic series that will run through March 2019, with a hero and a villain each getting their own issue every month along with an additional special issue combining the stories of other characters. The series kicked off in December 2018 with Qui-Gon’s and Maul’s comics, entitled “Balance” and “Ash” respectively, both comics written by Jody Houser. Not only did Houser create two solid tales that give us better looks into these characters, but she also made them rhyme. George Lucas would be proud. “Balance” and “Ash” are a dance of contrasts, following the same beats of story while united by a particular theme: the galaxy’s perception of the Jedi. The Last Jedi is my favorite Star Wars movie. I could gush about it all day. Canto Bight, Rose, D’acy, the duel on Crait, Finn and Rey’s hug, the scene in the novel where Rey and Luke dance, the themes, the emotional release, the technical prowess of it all. Marvelous! But for all that, there’s one scene in which I find no joy. It feels a little odd. I’m looking at something that’s a technical and choreographic marvel, at something where the actors deliver stunning performances, at something that hits the right emotional beats of a story, both in its own subplot and in the interwoven narrative of the movie as a whole. I’m looking at such a well-executed scene in my favorite Star Wars movie, and I cannot like it. I have never liked it. Not the first time I watched it, not the last. I don’t like the throne room battle sequence. It’s purely an emotional reaction on my part, I can admit to that. I dislike the throne room battle on a gut level. And that’s okay, because emotional reactions are a critical part of the conversation around this movie. If we’re not honest about our emotional reactions, we’re not going to get anywhere. In the Star Wars Rebels finale, there’s a masterful use of Kevin Kiner’s score, which flips its meaning on its head. As Ezra erupts into this speech, Thrawn’s theme begins building in the background. This track is primarily used to highlight when Thrawn is closing in on victory, usually as a result of his deductive capabilities. Here, it’s building to Ezra’s victory, a moral voice slapping down Thrawn’s entitlement to cultures not his own. It’s a re-appropriation of art on a meta level, as Ezra stares into the face of colonialism. 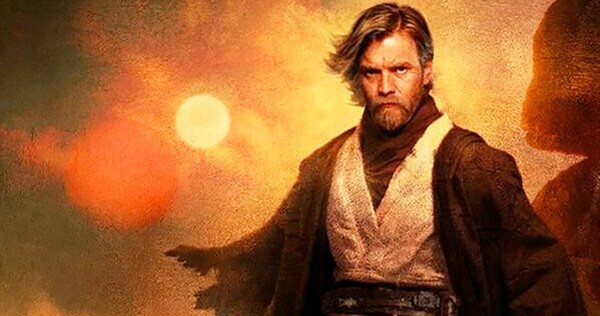 » Read more..
Like many Star Wars fans, I think it’s high time for us to have ourselves an Obi-Wan Kenobi movie. There are so many areas worth exploring with this character, some of which had been explored and then wiped clean by the Disney buyout. I know I’d personally love to see more stories that focused on Obi-Wan and Bail, Obi-Wan and Ahsoka, Obi-Wan and Satine, and Obi-Wan’s Padawan days – all stories that I’m interested for a variety of reasons. Ultimately though, what most have been clamoring for is some Tatooine-based, post-Order 66 drama. And I cannot bring myself to disagree, especially since my two favorite pieces of Star Wars fiction take place in those years. “Twin Suns” is obviously off the potential-Kenobi-movie table, for a number of reasons, not the least of which would be the need for a digitized Alec Guinness Obi-Wan, à la Rogue One‘s Tarkin, for the entire movie. 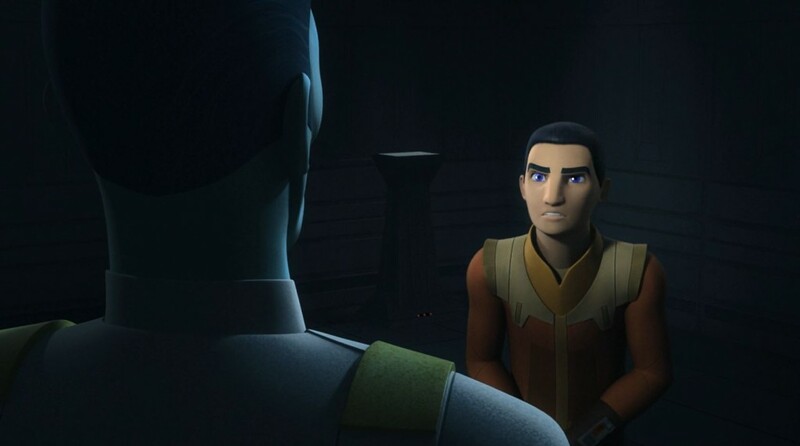 Additionally, “Twin Suns” functions first and foremost as an Ezra Bridger AdventureTM, which requires the context of Star Wars Rebels, and that’s not even getting into its deliberate parallels to previous episodes in the show or the intense symbolism from The Clone Wars. Kenobi however…now there’s some ripe pickings for a movie. The Legends novel by John Jackson Miller takes place shortly after Obi-Wan’s arrival on Tatooine and his delivery of Luke to the Lars homestead. While it’s only sparingly told from Obi-Wan’s perspective, the things he says and does, and the things he does not say or do, along with the parallels to other characters’ lives, all manage to paint a perfect picture of how he is coping with the aftermath of Order 66 and Anakin’s betrayal. The stakes in which he finds himself involved are on a distinctly small-scale – the internal drama of a moisture-farming community – but it all becomes a reflection of the fall of Anakin and the fall of the Republic. The pieces that we do receive from Obi-Wan’s point of view are his meditations with Qui-Gon Jinn. From there we see how he’s struggling with Anakin’s betrayal, his own failures, and the need to set aside his Jedi mantle for the time being. While I don’t expect Lucasfilm to pluck the plot wholesale from Miller’s novel, there are core elements of the story that deserve to be realized on the silver screen. » Read more..
It’s almost timeless in its use. In Beauty and the Beast, a prince and his castle were cursed for failing it. In Tales From Watership Down, the folk hero El-ahrairah tested the integrity of a warren through it. In Hebrews 13:2, the Bible says that some have entertained angels by passing it. This is the test of compassion. It’s the moment when a character encounters an individual who is undesirable to or unvalued by society in some way. Helping or showing compassion to this individual appears, on the surface, to pull time and effort away from the character’s goal. The test is: will the character divert from their path to help this individual, or will they continue on their way? Their choice in this matter reveals their true self and results in consequences. Probably the most iconic test of compassion in Star Wars takes place in The Empire Strikes Back, when Luke is tested by Yoda, who is currently concealing himself as an annoying local. When Luke’s impatience overrides, at last, his mask of politeness, he fails the test, which nearly costs him his Jedi training. By the time Return of the Jedi rolls around, he’s learned his lesson and applies it on a much larger scale, twice.